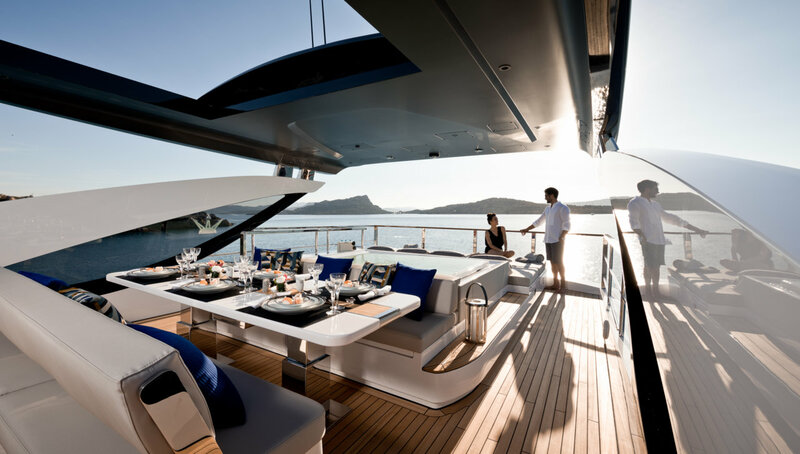 The main deck aft offers a shaded environment for alfresco dining, with a sofa lining the stern, an elevated dining table and additional chairs for a casual yet elegant setting. 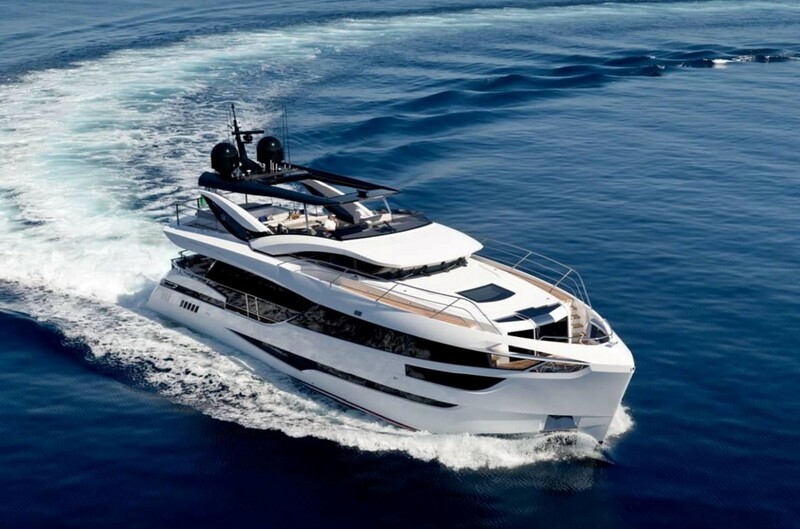 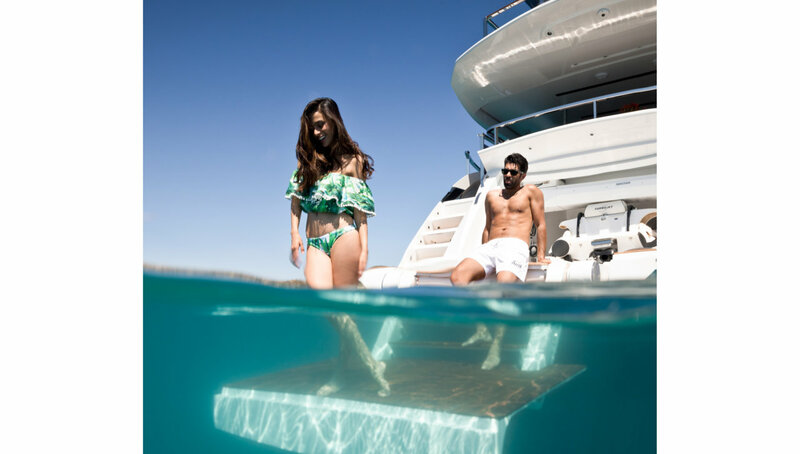 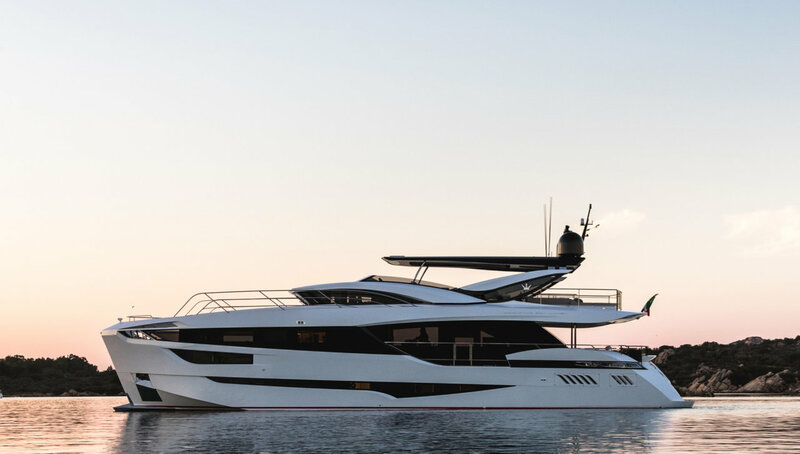 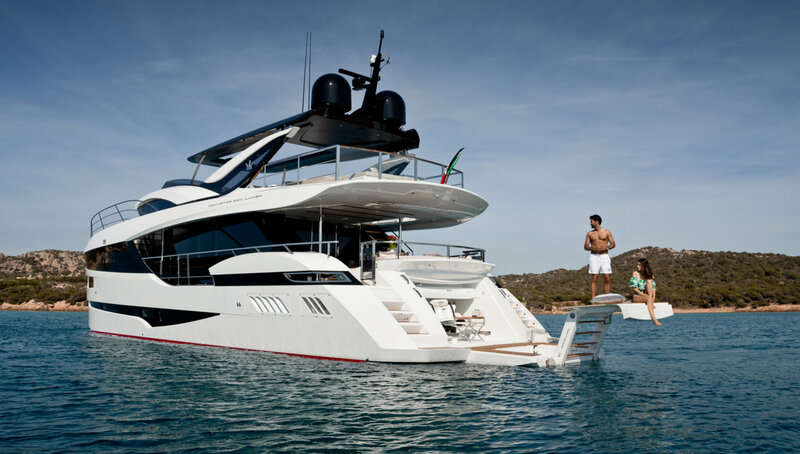 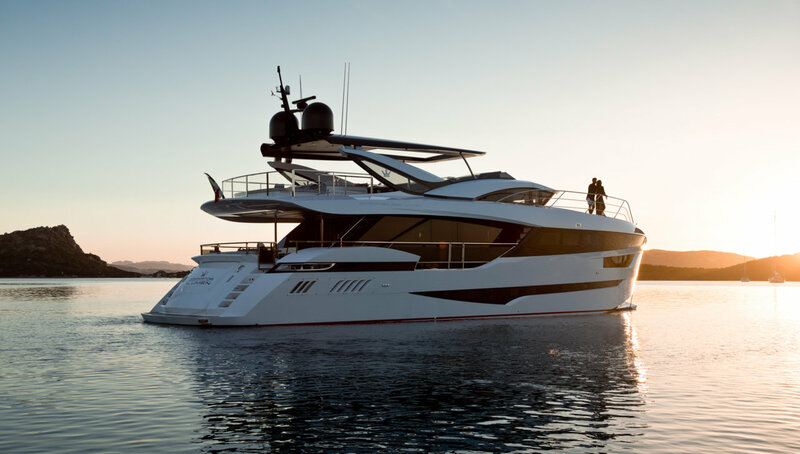 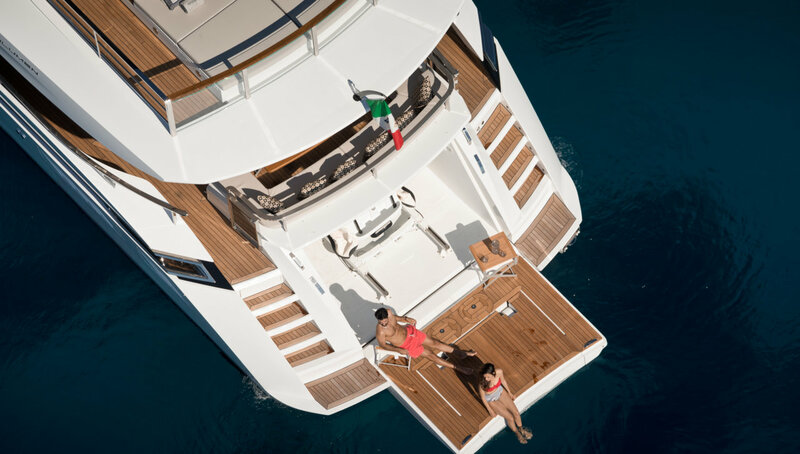 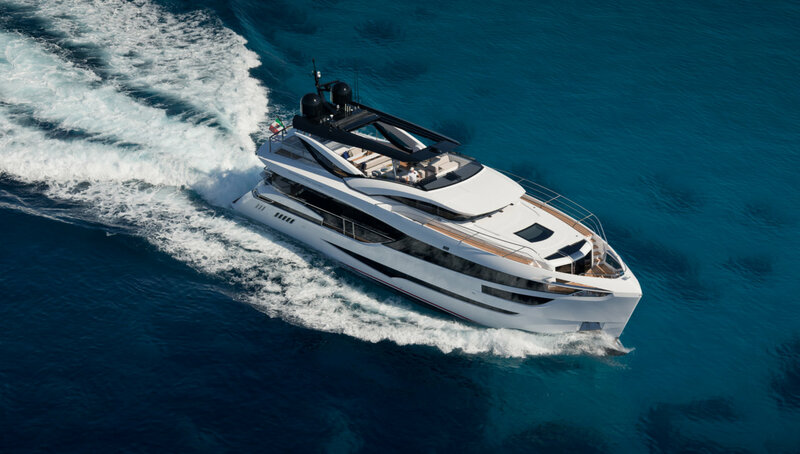 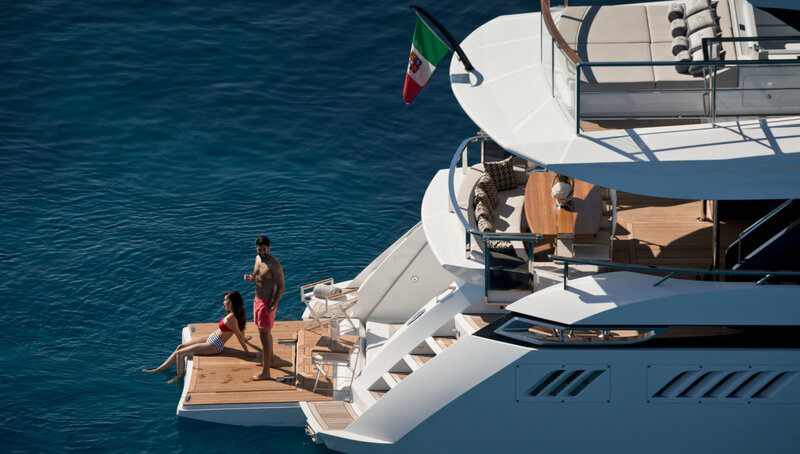 A stairway leads up to the flybridge, where a broad sunbed lines the stern and an attached, recessed Jacuzzi can be placed in the shade or sunshine thanks to the automated bimini roof. 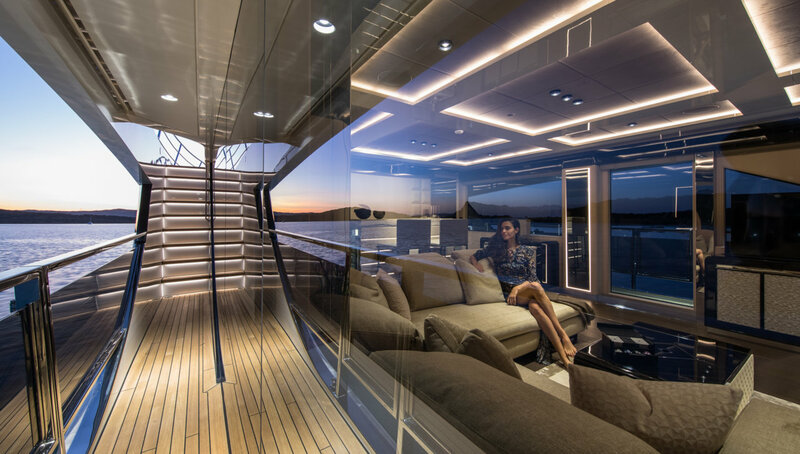 Two sofas with a table that can be raised or lowered to suit the occasion provide a place to dine alfresco, and the forward bar will keep guests refreshed day or night. 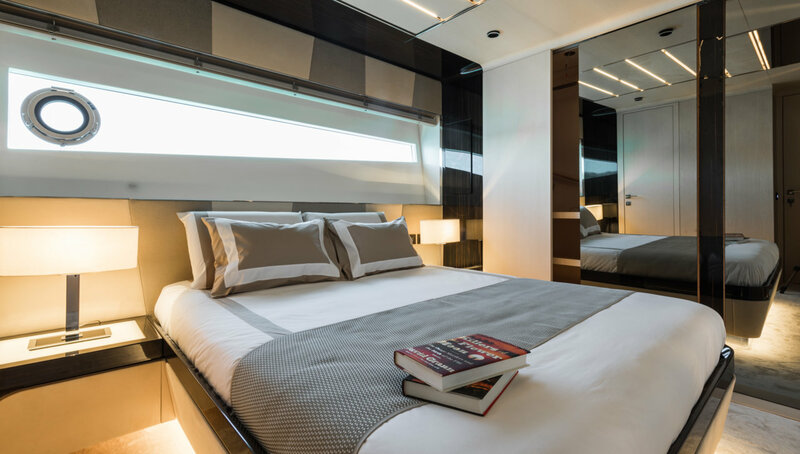 The lower deck layout hosts the guest accommodation amidships with the crew accommodation placed within the bow. 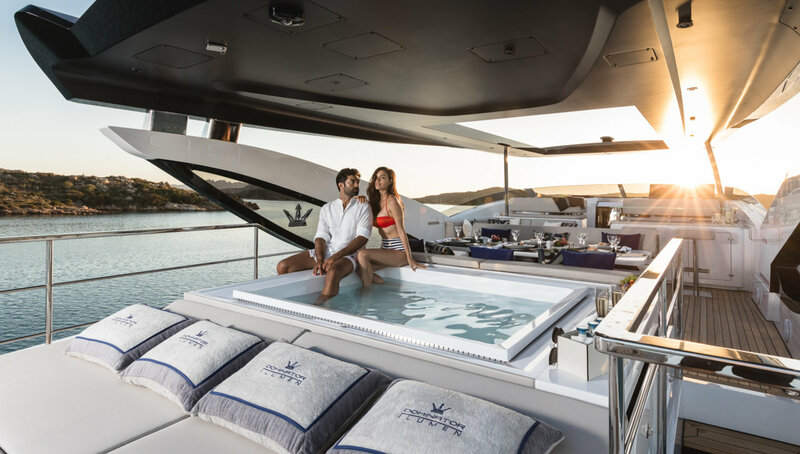 On the main deck, the Master suite is placed forward and has excellent natural lighting due to the skylight and windows forward, port and starboard and there is access to the bow exterior. 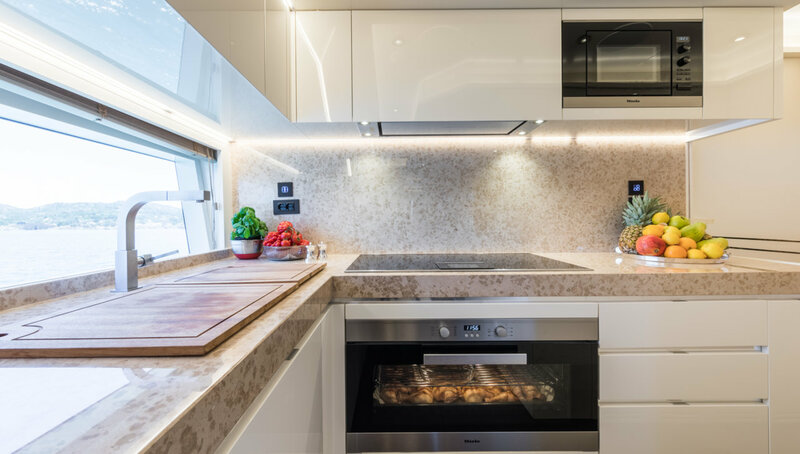 Behind the Master suite is the well-equipped modern galley and a stairway leading down to the rest of the guest accommodation and up to the raised pilothouse, which can be used as a second cosy retreat. 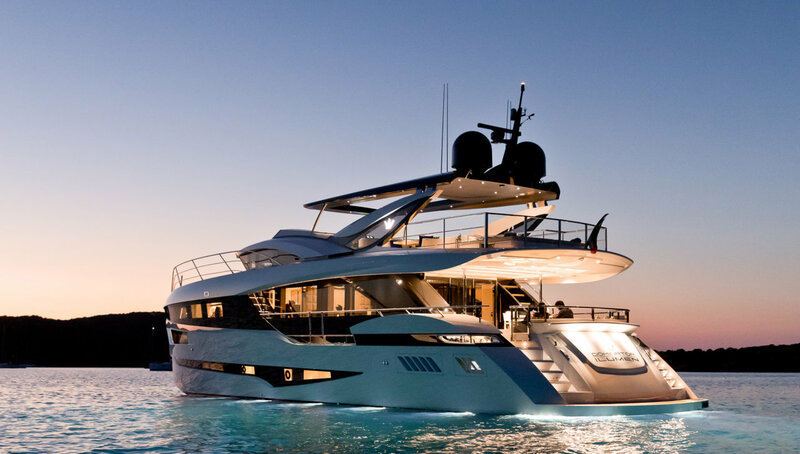 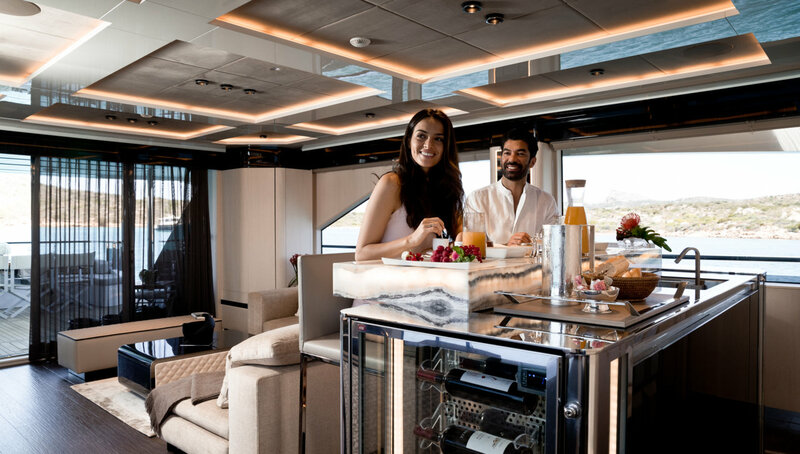 The main deck aft is an open-plan environment that places a back-lit bar forward and the lounge behind. 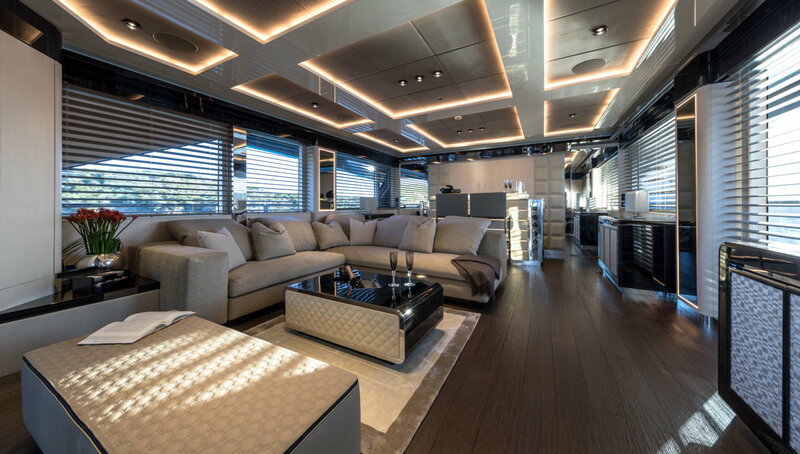 Two large sofas, two armchairs and a bench are placed around a coffee table for casual meals and conversation, or for films on the starboard widescreen TV, hidden within the cabinetry when not in use. 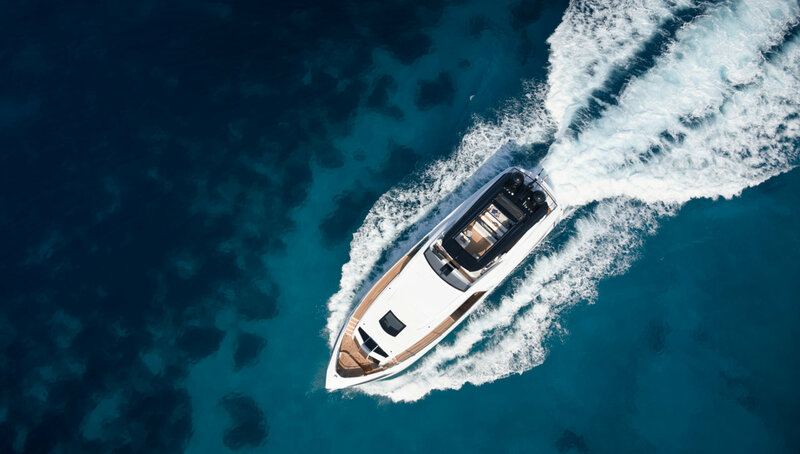 Twin V8 MAN engines producing 1,200 HP produce a top speed of 18 knots, a cruising speed of 12 knots and a range of 950 nautical miles. 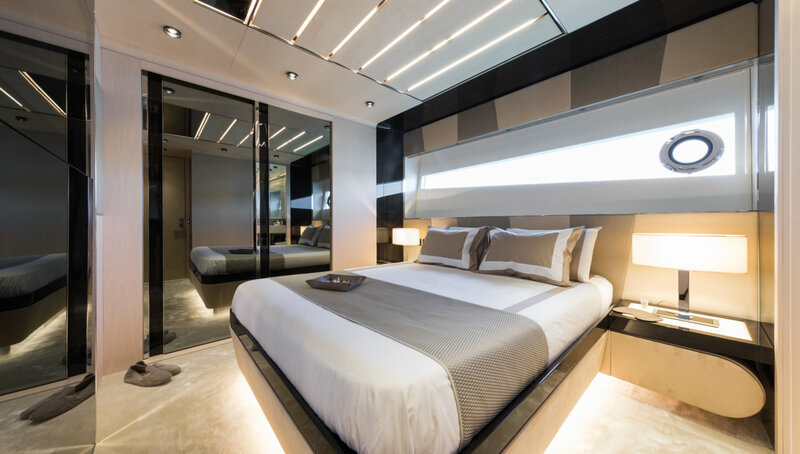 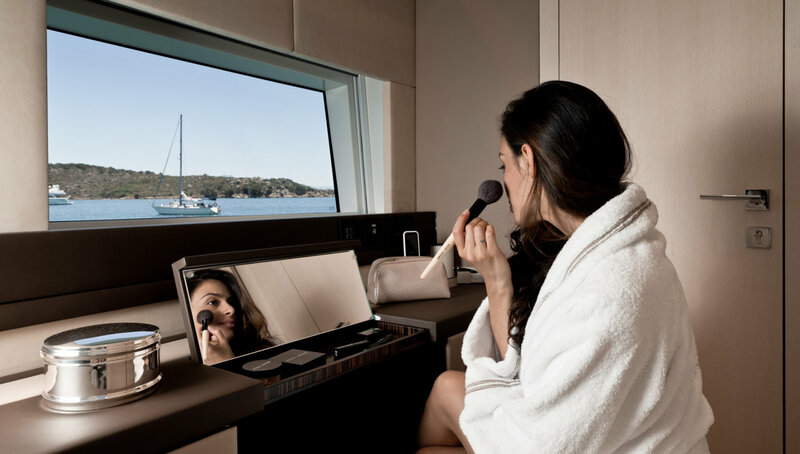 The accommodation provides for up to 10 guests across 5 en-suite cabins: 1 Master suite, 2 VIP staterooms and 2 twin cabins. 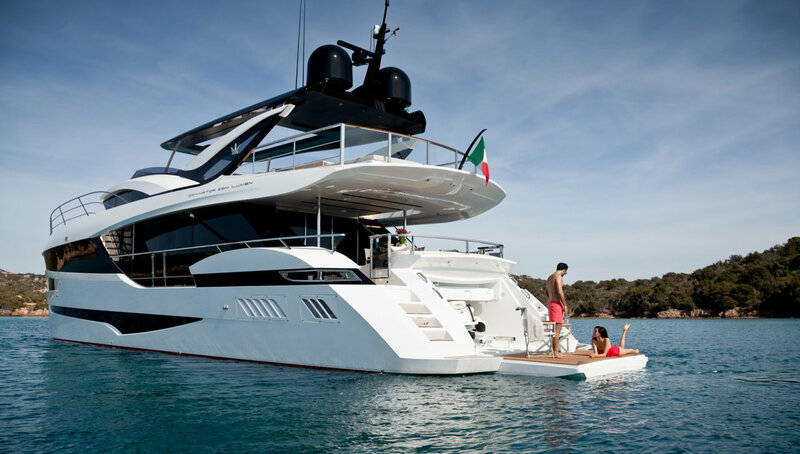 The crew of 4 will ensure that all guests have a safe and memorable journey.